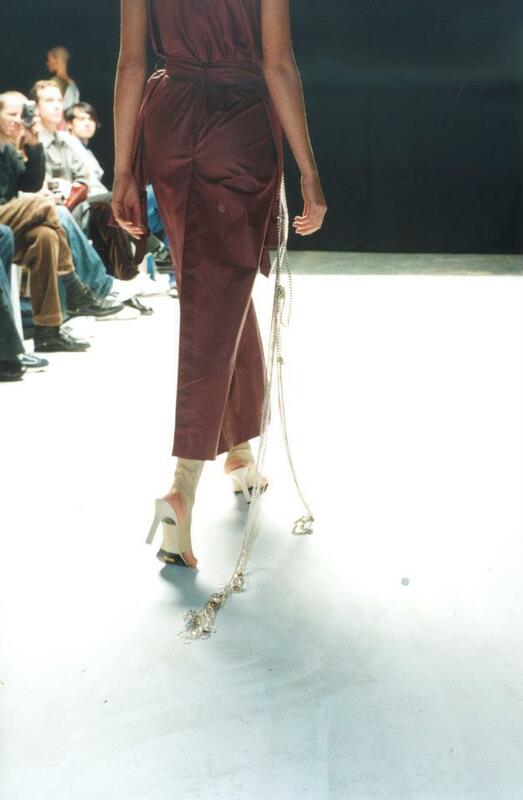 LUTZ HUELLE S/S 2001 ‘THE BOXEUSE’, Photos of the show of the infamous second collection: Super-highwaisted Boxer-Pants, Towels worn as evening dresses, Cardigans in gold, blue and red Lurex worn as tanktops. 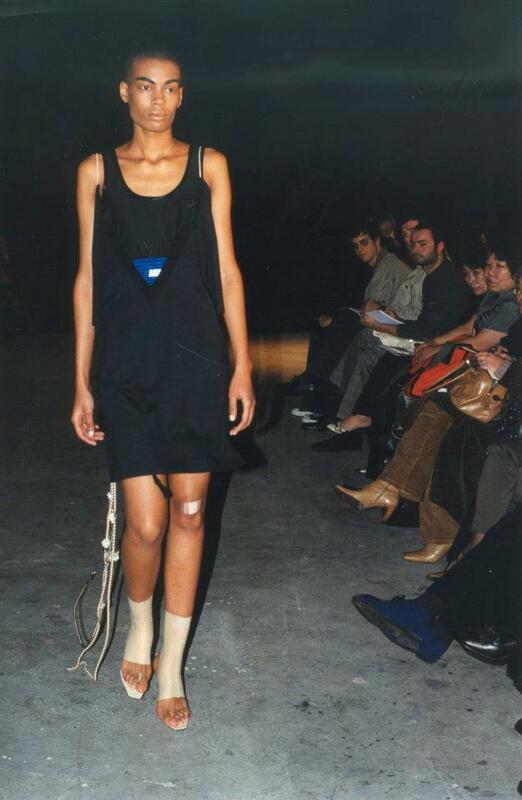 All accessorized with jewellery hanging out of pant-pockets as if put there as an afterthought and band-aids plastered on knees and elbows. I wanted savage and carnal but in a calm, concentrated way – like I thought a Boxer must feel before a fight.